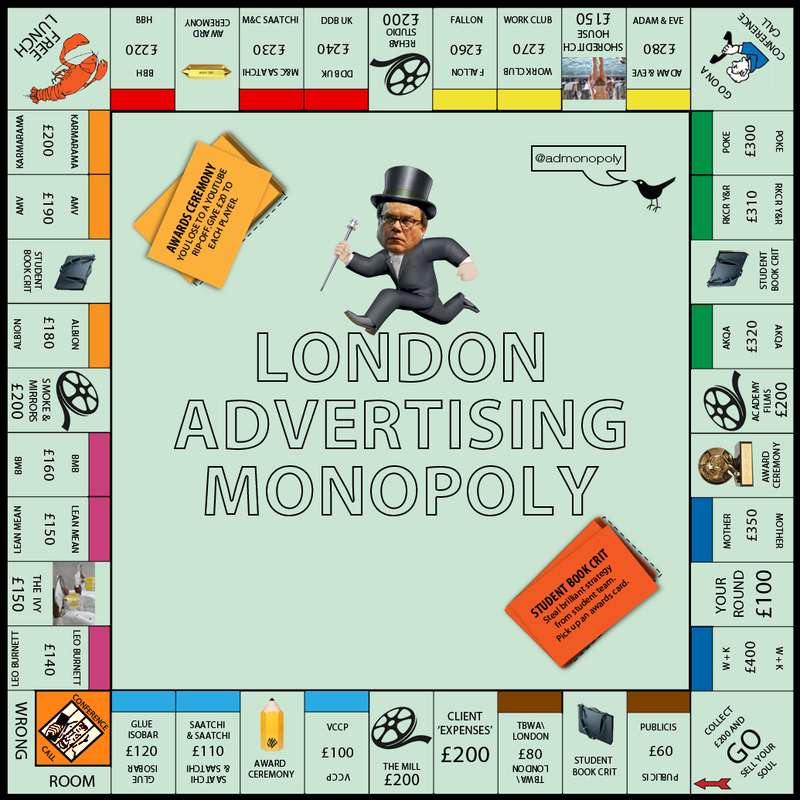 Welcome to the creative wankfest that is Admonopoly! Race around the board wasting your creative talent and build as many ‘award-winning’ campaigns as you can! So get your ‘starters for ten’ and your ‘adcepts’ ready, as you scurry around the shops of London consistently ‘bringing your A-game’ until you become the most feared adman in town.